Well, it’s official – wedding season has come to a close at the Coriander loft. 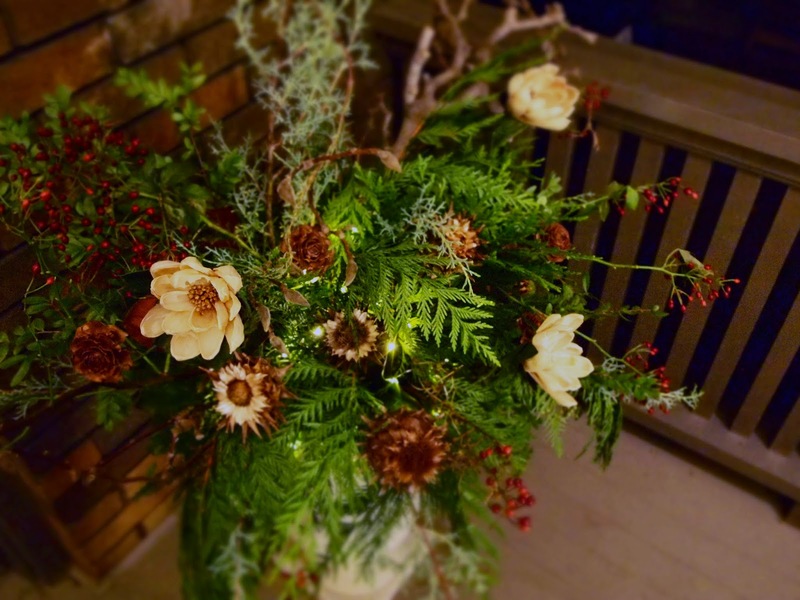 And as the night frosts have claimed the last of our dahlias, anemone, and roses – not to mention the gorgeous fall leaves that have fallen from our trees – we’ve been left with a rather depressing palette of brown, browner, and brownest outside. That’s why we’ve decided to take it upon ourselves to bring a shot of natural energy to our front stoops long after the flowers have disappeared… So without further ado, it brings us great pleasure to announce the beginning of the Coriander Holiday Season! In grand Coriander tradition, we are determined to combat the usual Christmas clichés; there is absolutely no place for fake poinsettias, stiff red bows, or big metallic balls on our mantle. 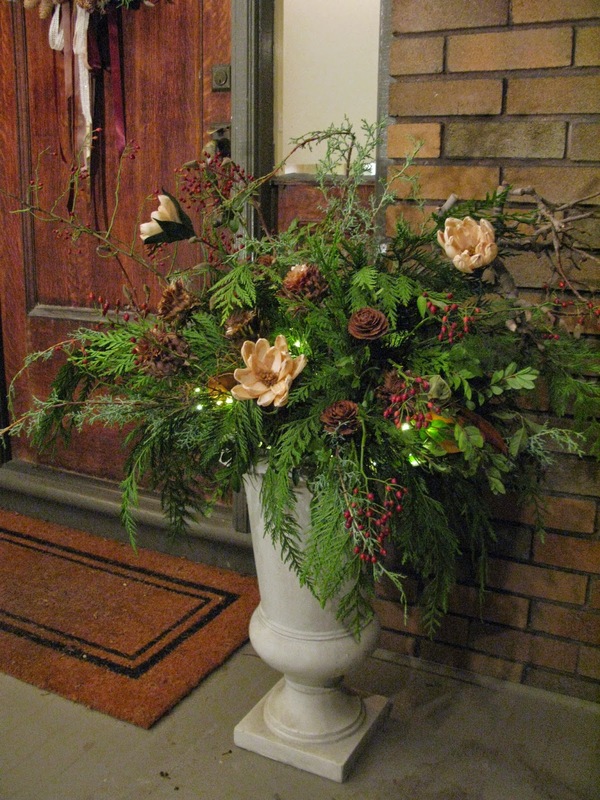 From urns to wreaths to swags to garlands, Coriander Girl will be offering full-service winter decorating services for your home or business using only the finest quality winter evergreens and natural elements to bring you beautifully crafted creations in organic shapes and colours that will last right through ‘til springtime. This includes both on-site assembly services and ready-made drop-ins that will be sold in the shop. How merry is that? We were in High Park last weekend setting up our first front porch of the season and damn it looked good if we do say so ourselves. When the sun went down and the twinkle lights were fired up, we actually found ourselves getting – gasp - excited for winter. What the heck is that all about? If you are interested in having us come by your home or business for a consultation, please feel free e-mail us at hello@coriandergirl.com. 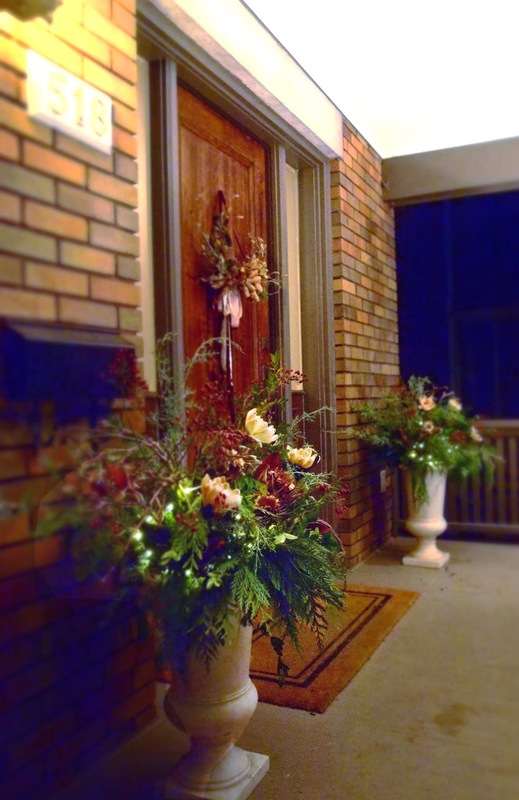 And don’t forget to pop into the shop to check out our selection of wreaths, swags, laurels, and drop-ins for your urns. It's official! The Coriander church house is for sale! We are selling our beautiful little oasis of love by private sale. This home has been a true sanctuary for us. We wish we could keep it in the family forever but in order to move forward, sometimes you have to be willing to let things go. The church house has been a haven, a calm place to land, an inspiring space to dream, to plan and to grow. We are excited (and a little envious) for whomever get's to own it next. We're asking 269,000 or best offer. Built in the late 1800's, the church sits on about a half acre located on a quiet street, just a half hour drive to Prince Edward County. We've upgraded the kitchen, lighting, water filtration system and electrical. Last year we did a complete perennial garden installation. Everything is up to code and the finishes are of the finest quality. The church is the perfect seasonal getaway for the city dweller who wants to dip their toes into country living but is also winterized for those who want to live there year round. With a two bedroom additon off the back of the main church living space, there is enough privacy for a small family. We had a dream to build a loft in the main space which would have been an awesome spot to move the master bedroom. If you are interested in seeing the church or have any questions please email me at Alison.westlake@gmail.com. We're having an open house on Sunday, November 16th from 1pm to 4pm and we will be accepting offers at that time. To view some lovely images and read a beautiful write up of our church visit Emma Reddington's The Marion House Book Click here!